Everton move into the next round of the Carling Cup with a 3-1 victory over Sheffield United, thanks to goals from Mikel Arteta, Victor Anichebe and a Richard Cresswell own goal. 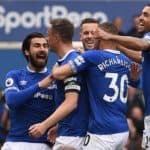 The Toffees were sent out by David Moyes looking to avenge a poor performance against QPR on Saturday, and looked the brighter side early on with chances for Fellaini and Anichebe going astray, before Mikel Arteta wasted a golden chance at the far post when he looked likely to score. It was, however, the League One side that took the lead. Quinn sent a delicious ball into the box for the onrushing Richard Cresswell to slide onto and direct past Jan Mucha, who was enjoying a rare start and a quiet game up until that point in the Everton goal. It didn´t take long for Everton to reply. A Leighton Baines free-kick cannoned off the wall, deflected out to Jack Rodwell who charged towards the box and unleashed a scuffed effort at goal, which former Blues ´keeper Steve Simonsen made a hash of and the Blades scorer Cresswell deflected cruelly into his own net. 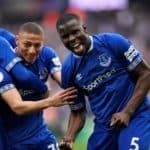 Everton then set about wrapping the game up in the first half, and it was the unlikely source of Victor Anichebe – a man who hasn´t scored in two years – who got it. Ross Barkley connected with a poor shot which ended up as a quality cross, which the big Nigerian gleefully prodded home to end his drought in front of goal. It was a moment of pure quality from Mikel Arteta which finished the game. The Spaniard bent a curving shot beyond Simonsen from 20 yards, earning the applause of the Goodison faithful. A quiet second half followed, which saw cameo appearances from Louis Saha, still fighting for full fitness, and Jose Baxter, last seasons reserve player of the year. Tougher tests will follow in the Carling Cup, but for now Everton can look forward to the draw.